E-commerce is essential for any modern business. If you are in the business of selling goods or services to consumers, and you don’t have an e-commerce website of some kind, you are falling behind the competition. To catch up, work with albieSoft to develop the perfect e-commerce site for your needs. Competition is fierce in the e-commerce world today, so just any old website is not going to cut it. Rather, you need a beautifully designed site which runs on a top piece of e-commerce software. We can develop a site for you on any of three excellent platforms – Shopify, WooCommerce, and BigCommerce. This is an all-in-one e-commerce solution for your business. 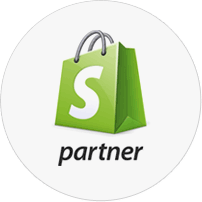 If you are just getting started with an online business, Shopify is a great way to go. Managing your store is quick and easy with BigCommerce, and you will have the option to add powerful integrations as well. This WordPress-based solution is likely to have all of the features you need. This is our preferred e-commerce option!